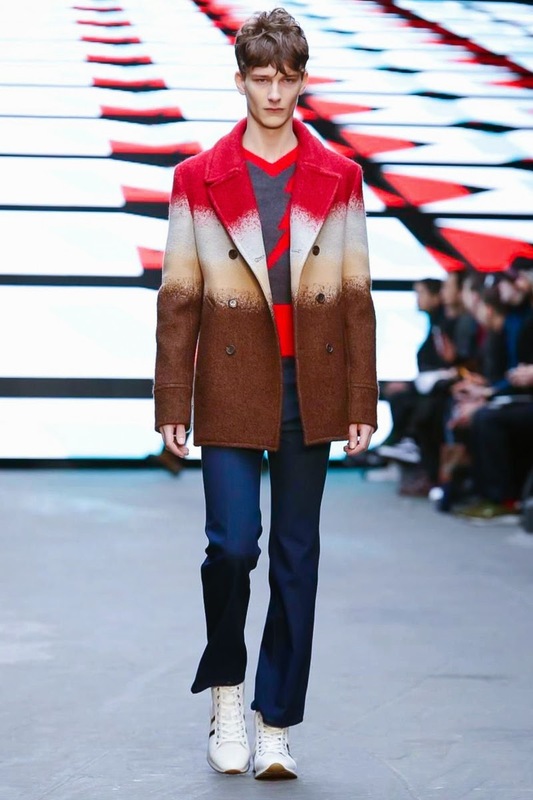 The first festivities of Autumn Winter 2015 are landing with the start of London Collections: Men. 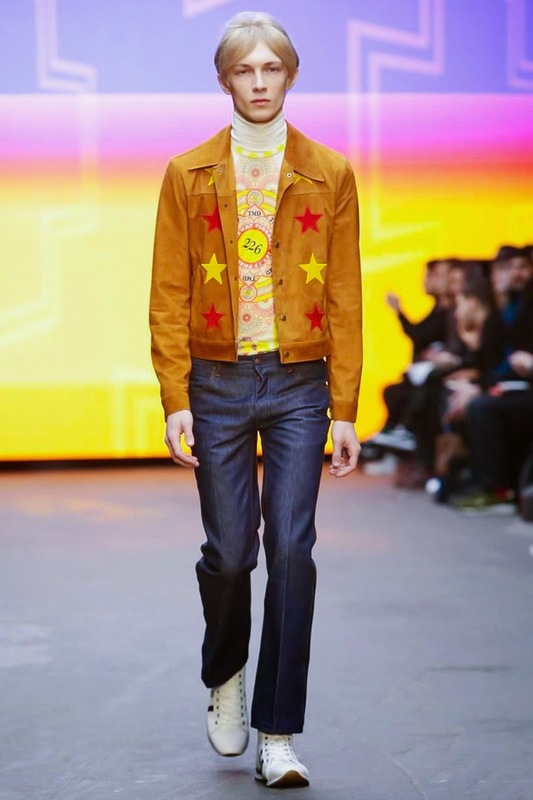 Topman Design has opened the day with a 70's vibe collection. The TMD team has brought heroes from the seventies back up with boys moving like Jagger! 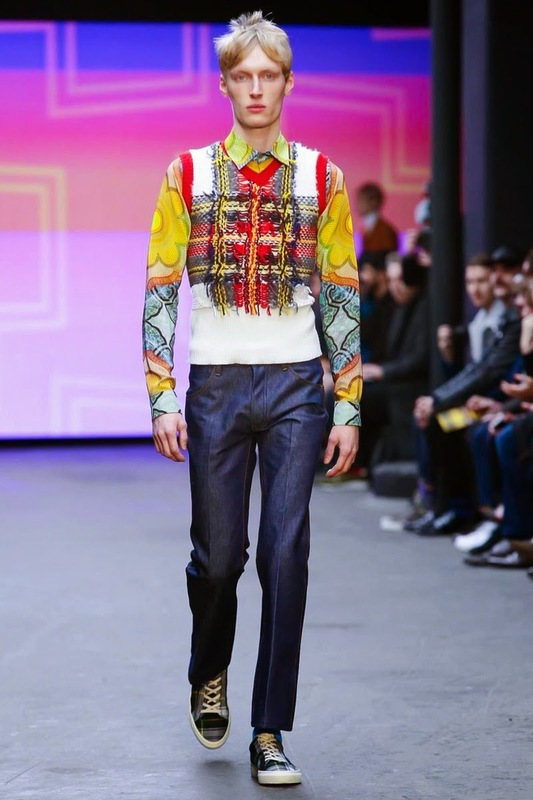 A lot of Britishness which have already been featured in the Spring Summer 2015 collection, twisted and remixed with psychedelic bright and fun colors of the seventies. Definitely retro but not kitsch. A modern wardrobe for boys who love clothes that have a vintage reference. 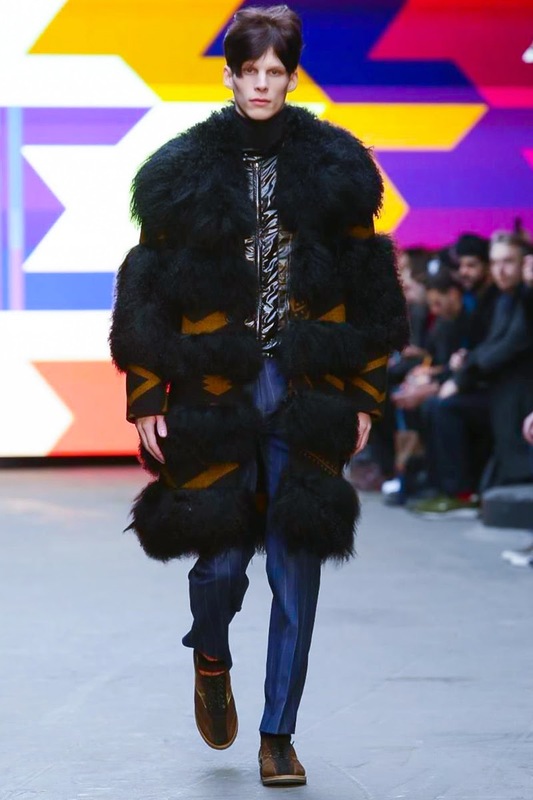 The furry patchwork peacoat, the sheepskin jacket, the furry ponchos, the furry embellished coats, the velvet fringed jacket, the tie and dye peacoats, the sharp tartan tailoring, all these pieces have a taste of déjà-vu but are all very relevant. People are always looking for authentic pieces. They would certainly want to wear the skinny denim flare jeans, the ruffled blue shirt and the flower power shirt with this handmade vest as well. 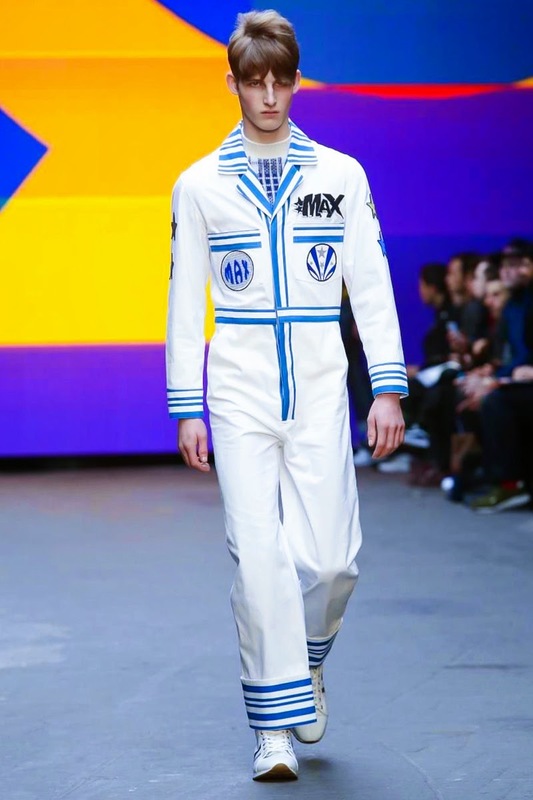 We are not sure of the commercial aspect of the jumpsuits wondering whether they are only runway pieces. 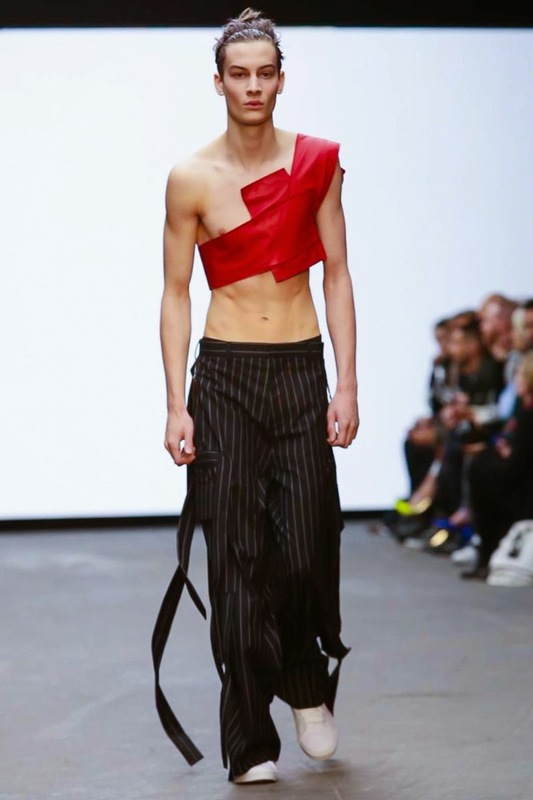 Every fashion show needs a statement, perhaps it's the message today. The cut-out furry coats are definitely the one to buy pieces as well as the star-embellished bombers. 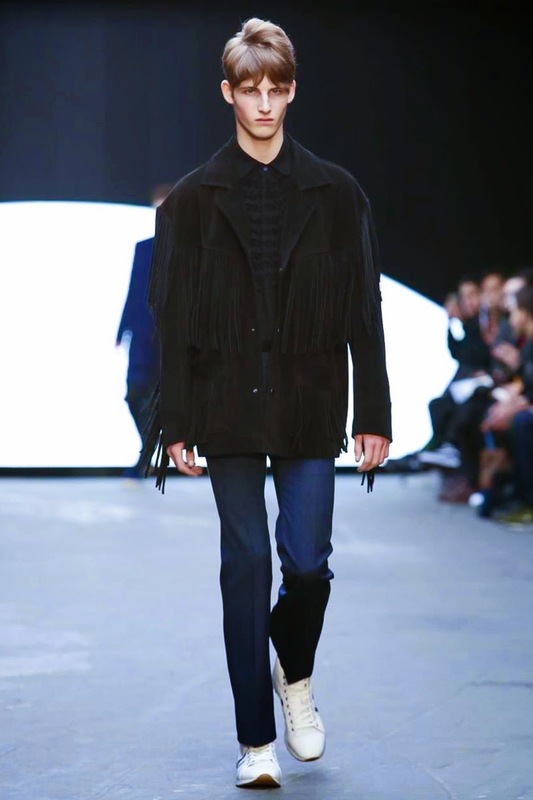 This AW15 collection is another winning one for Topman Design and now, we can start the game of which piece is going to be produced! Nicomede Talavera's name has shined over LCM all along the day. 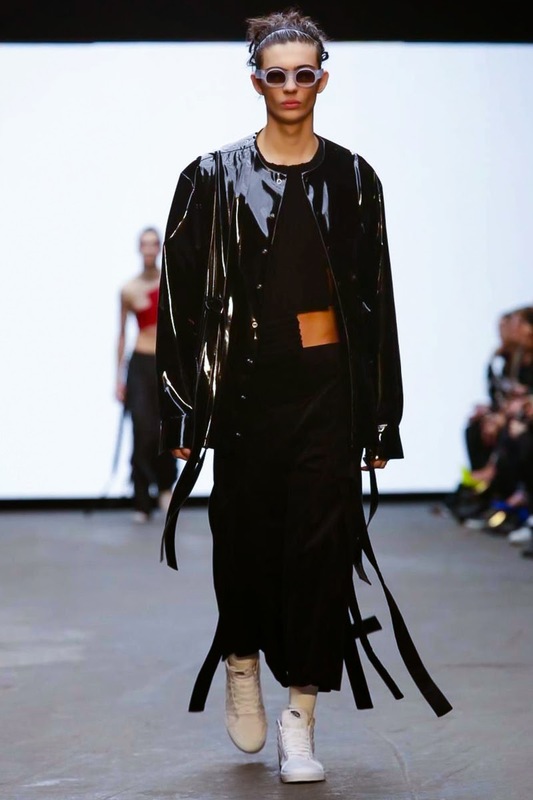 He is the upcoming designer and we have been suckers for his collections since his MA breakout debut in 2013 so you can imagine we were excited to see what he had in mind for the AW 2015. We are not lucky enough to have one single garment of him hanging on our wardrobe or no single collab backpack with Eastpak but we still hope to have the chance to grab one of these radical goods in the future. His newly collection has made us crazy throughout the day, pronouncing his name aloud as if it were going to make the clothes appear. This collection will haunt us for a long time dreaming of it like Kate Moss dreaming of the AW14 collection of Stella McCartney in her eponymous ad. 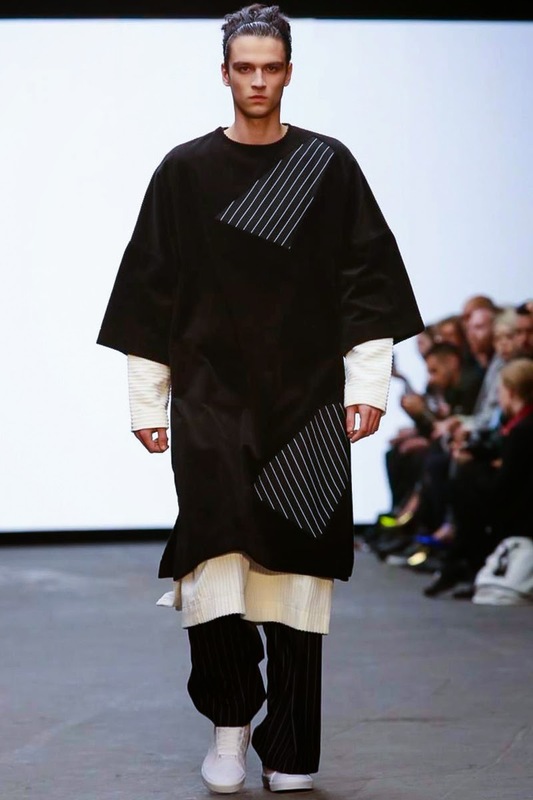 The Nicomede Talavera AW15 collection is full of orientalism and japanism tricks. We are using the word "tricks" here because many pieces are already obsessing us. 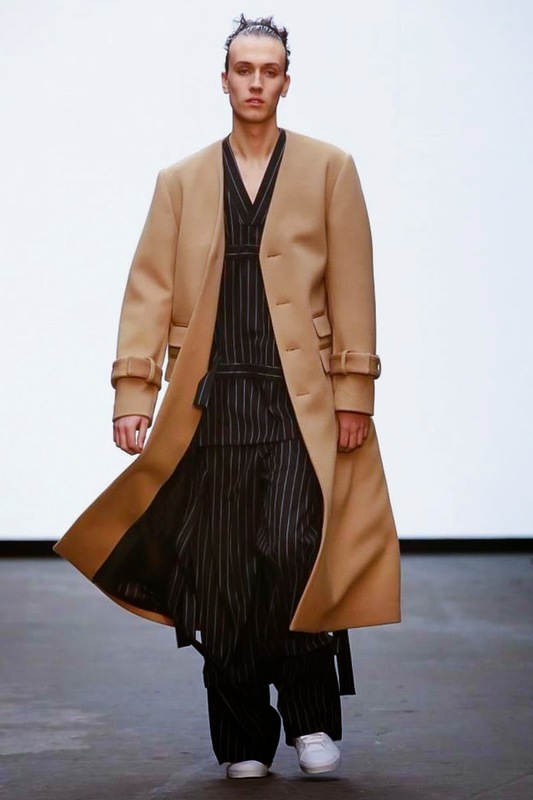 The loose kimono jacket, the pinstripes, the long-dress like sweaters, the layering of fabrics, the "sucker" sweater, they all have a huge appeal upon us. 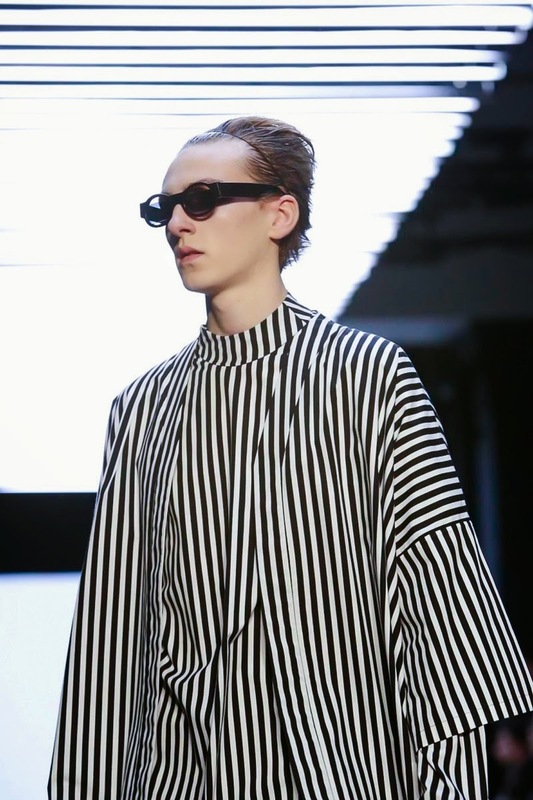 We want to be this sucker-like yakuza, we want to join Talavera's gang of effortlessly cool boys. 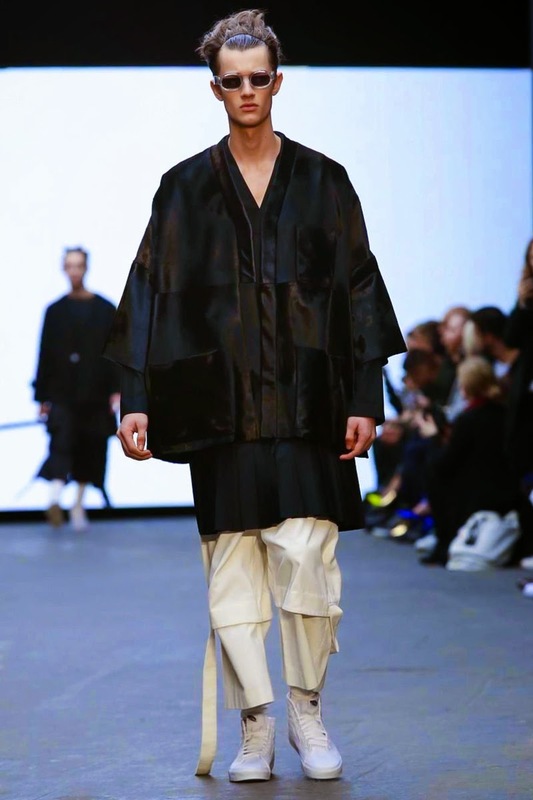 Talavera is proposing a wardrobe full of drama and radical pieces that will become "basics" in the future. 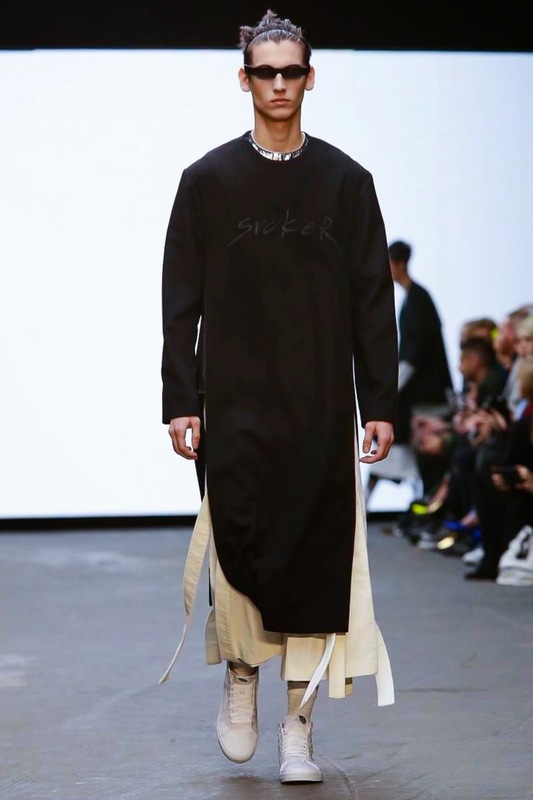 He has already conquered the hearts of the most important persons in the industry having as stockists Dover Street Market, Opening Ceremony, Machine-A and Ln-CC. Thanks to this exciting collection and to the positive response of the media, his name will certainly travel the world, making people addicted just like us!